You have to measure what you manage, according to Tucson, AZ's energy manager. But how do you do that with an incomplete energy database maintained by interns and the A/P department? 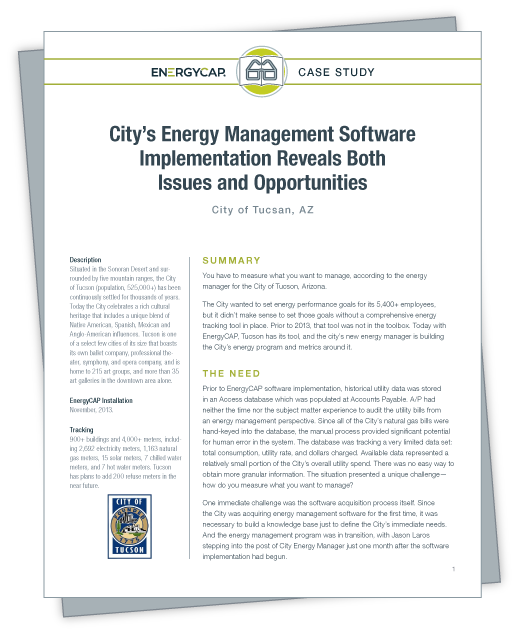 Energy management software offered a solution, but there were implementation adventures ahead that would challenge the City's energy management staff.